More info:Additional $880 Landing Fees per person. Includes one night pre voyage hotel accommodation on share twin basis, shore excursions and all meals aboard ship. Excludes flights, travel insurance, laundry, bar bills, tips. In 1911-1914, the Australian Antarctic Expedition took place in the East Antarctic, headed by Sir Douglas Mawson – considered by many as the grandfather of Antarctic science. 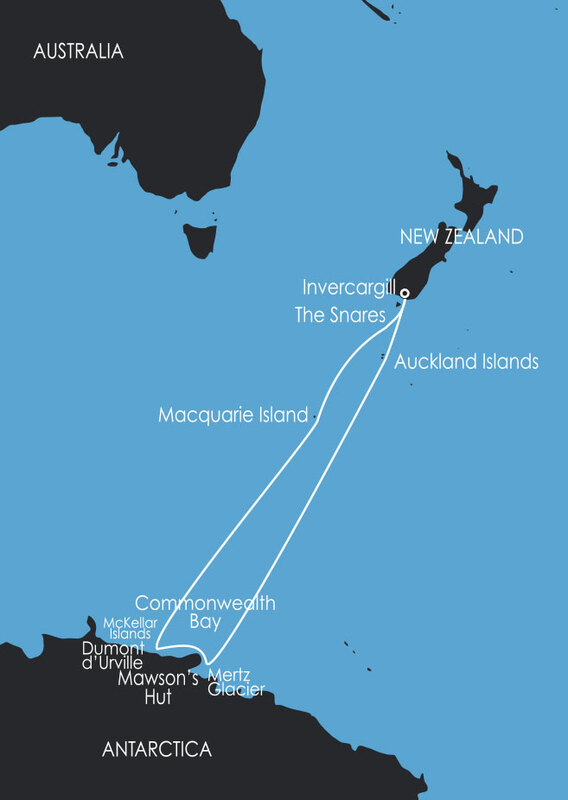 However, the expedition was as notable for its achievements as it was for its tragedies – including the deaths of explorers Mertz and Ninnis, and Douglas Mawson’s extraordinary, 160km trek to safety. Today, Mawson’s hut still stands at Cape Denison, which is one of the most accessible places in East Antarctica as it is one of the only locations which is ice free. However, it was cut off in 2010, when a vast chunk of the Mertz Glacier Tongue broke off. This blocked the movement of sea ice and prevented any ships from entering the area. We have continued to monitor conditions here and as they change, we have found opportunities to return to the bleakly beautiful coastline of East Antarctica and to Cape Denison, where Mawson’s hut remains sheltered from the blizzards and storms characteristic of this region. Join us on a four week expedition on-board the well facilitated Polar cruise ship, the Akademik Shokalskiy, as we experience East Antarctica in all her wild, untamed and remote natural beauty.